I recently rediscovered the power of Topaz Detail. I’ve had Topaz Detail in my arsenal of photography processing tools for a long time. It used to be a big part of my workflow. Over the years as I’ve added new tools, Topaz Detail got pushed aside. I’m not quite sure why because it works just as well (if not better) than some of my other tools. The only conclusion I can come to is that it was sort of a one-trick-pony. It did one job, very well, but that is it. A lot of my other tools put many effects at my fingertips, which can cut down on the time I spend post-processing. Topaz Detail is now available in Topaz Studio! This means that in addition to the power of Topaz Detail (now named Detail in Studio), users have access to all of the other Topaz Studio tools without jumping from one plugin to another. What does Detail in Studio do? Simply put, Detail in Studio sharpens photos. It identifies and analyzes small, medium, and large structures in the image and allows the user to manipulate the sharpness of each aspect separately without adding halos or artifacts. The result is natural sharpness that can make a photograph pop. If you’re wondering about the difference between Topaz Detail and Topaz Clarity, check out this article. I compared the results from both, and also show how well they work together. 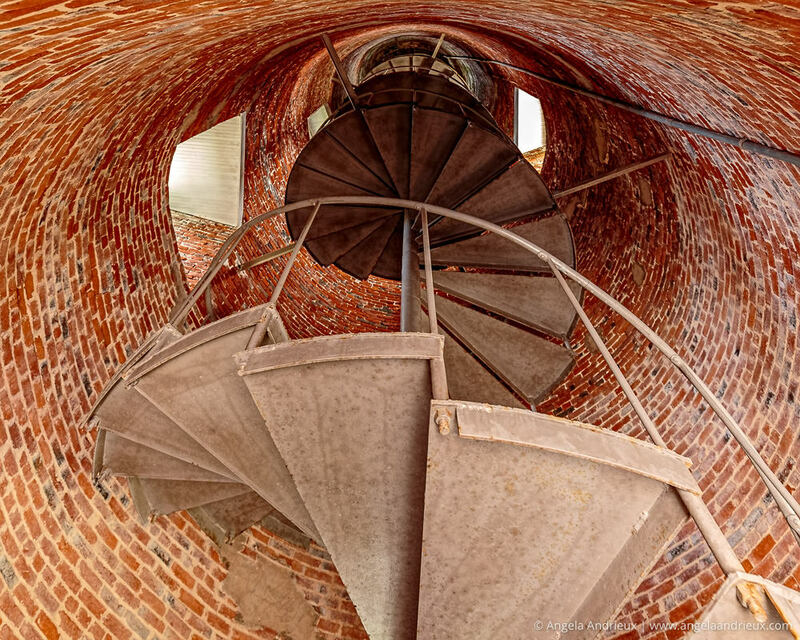 For this example I’m working with a photograph made inside the Oracoke Lighthouse on North Carolina’s Outer Banks. It was captured handheld at f/4, 1/30 sec, ISO 1000 with my Canon 6D and 16-35mm f/4 L lens. I started out by making a few tonal adjustments in Lightroom to tone down the highlights and open up the shadows. I also did a bit of noise reduction with Topaz DeNoise (one of the best noise reduction tools available) since this image was shot at ISO 1000. The noise wasn’t bad, but I wanted to reduce it before sharpening/adding detail so as to not accentuate the noise. Next, I jumped into Detail in Studio. I chose the Feature Enhancement II preset which made subtle but powerful changes to the medium and large features, but didn’t touch the small features (which would have made any residual noise worse). Now that I’ve dusted off my copy of Topaz Detail I can guarantee it’ll be making an appearance in my workflow again, especially now that is available through Topaz Studio. I was particularly impressed at how this software emphasized the detail in the shadows without making the entire photograph feel crunchy. Save 15% on the the Topaz Detail Pack for Topaz Studio when you use my coupon code “angandrieux”. Not quite ready to buy? Try Detail in Studio FREE for 30 days! 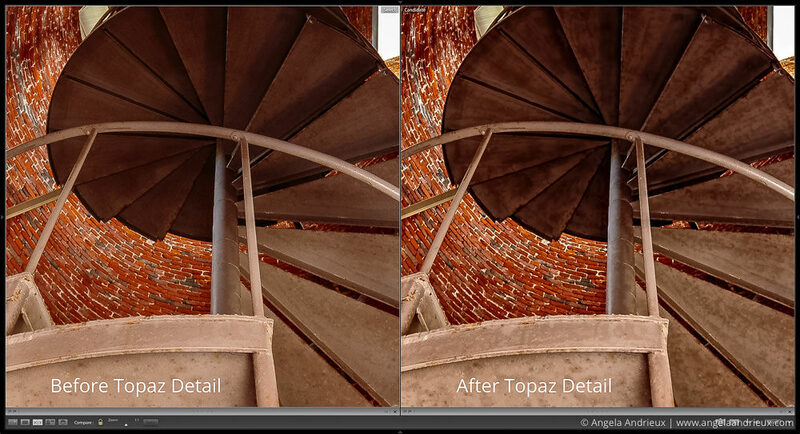 Already own the Topaz Detail plugin? Your upgrade is FREE! 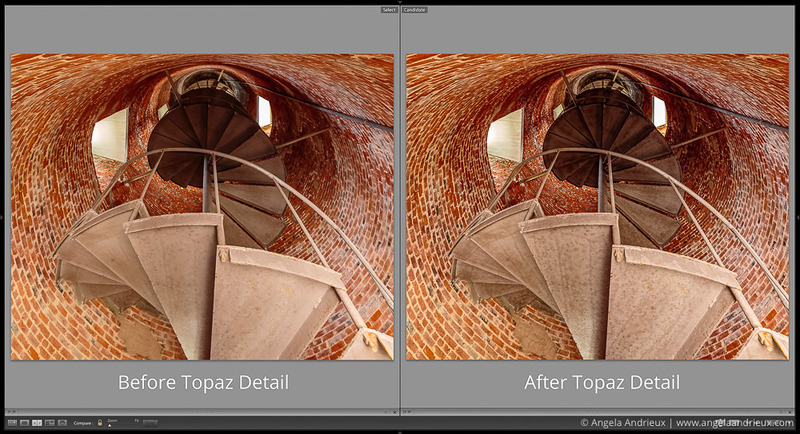 You’ll need to download Topaz Studio (if you haven’t already) to access the update.